Once you have secured your premises, set your alarm and returned home to your family you want the peace of mind that should your premises sustain an alarm activation it will be dealt with by a professional company who will complete a thorough external patrol before entering your premises and will provide a detailed attendance report so you can fully understand why the activation occurred. 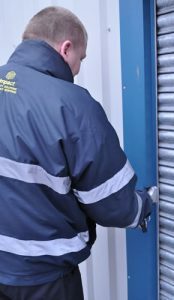 It is far better to use a professional security company to act as a key holder as all our staff are trained to deal with situations should there be intruders on site, and will follow pre-agreed assignment instructions should the premises need to be boarded up. If you deploy one of your own staff they run the risk of being injured, or not being able to attend work the following day resulting in costly lost time to your business.